One morning, I discovered my girlfriend in bed with the lead guitarist of the Strokes, so it’s safe to say that music destroyed my last relationship. Okay, I’m kidding. 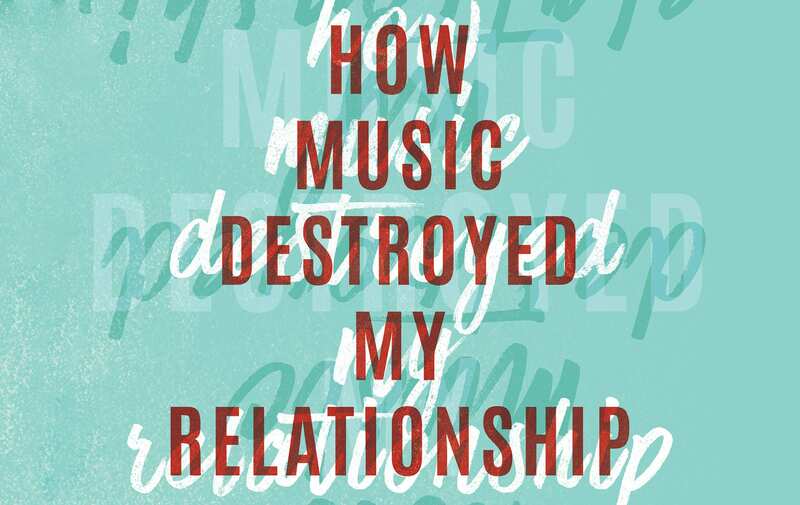 That never happened, but music did play a major role in our breakup. I decided we should try and find some common ground. Something we could do together to create fond memories to tell our nonexistent children about. So, I asked my girlfriend to join me to break the world record for longest road trip—which we did. We broke the Guinness World Record for longest journey by car in a single country, but it didn’t help mend the rift between our very different musical tastes. We listened to podcasts for about 90 percent of the 122 days and 36,123 miles that we traveled. Sometimes she’d be okay with me putting on the Raconteurs, Nirvana, Eminem, and Eazy-E, and sometimes I’d be cool listening to some indie band from Santa Cruz that I’d never heard of. But in the back of my mind, while her music was playing, there was that nagging question of “Are we right for each other?” It kept me awake at night . . . in my sleeping bag . . . in the back of my Subaru, which is where we were living during the trip. As I lay awake beneath the stars with her passed out beside me, all wrapped up in blankets and sweaters, I often wondered how much more fun this road trip—and this relationship—would be for her if I loved Grizzly Bear or Passion Pit. It made me a bit insecure (which is my fault, and not hers or the music’s). And yes, I’m sure there are plenty of successful, in-love, romantically sophisticated people who hate the music their significant other loves. I’m just saying that for me—and for many others, I assume—insecurity soon led to jealousy any time we’d hang out at one of her friend’s houses. Why? Because at those moments, it finally looked like she was having some fun, enjoying music with other people, living the life that she loved. When the suggestion would come up to continue the night at some local music joint—that I was sure I’d hate—I wondered if I was bratty for kindly bowing out. I just didn’t want to go. And that would spawn a “Why don’t you like hanging out with my friends?” argument. Was I ruining her life because I didn’t want to spend ten grand going to Coachella and painting my face like one of the Beatles? Was I insulting her friends who mourned Prince for ten days straight on Hollywood Boulevard by not tagging along? Is it bad that I kind of didn’t care? I mean, he wasn’t paying my rent or anything—is that bad to say? How could I get her excited to come to a hip-hop concert or a Manu Chao show with me? We simply never clicked on the music front. We loved each other, but we could never get amped up about the same activities unless it was skiing in Big Bear or something. And that stuff adds up. And here’s the thing, whenever we did find a song that we both liked, it was amazing! They say opposites attract, but there’s a severe ripple effect that takes place if I hate the music that someone else loves. They say opposites attract, but there’s a severe ripple effect that takes place if I hate the music that someone else loves. My ex is probably reading this, so I’d like to say that I loved her (and her friends) and that she’s awesome. My life was mostly spectacular when we were together, but when it was miserable, it usually traced back to our lifestyles, which always had something to do with the music we liked and where we enjoyed hanging out. Music was not the core of our differences, but it was an issue that crept into nearly every aspect of our relationship. I always wondered if there was a way to truly connect with her, even if we never could really enjoy a song together. I’m still not sure, but I assume there probably was. Common sense led me to believe all I had to do was put a sincere effort into giving all of the terrible music that she liked a proper try. When I did that, it did wonders for us, even if I never ended up enjoying it. And when she was finally willing to watch The Godfather (What the hell took so long? ), to partake in some entertainment that I swear by, I was elated. The greatest gifts she gave me were comfort and understanding, and, at times, leaving her comfort zone to let me blast E-40 as we drove through New Mexico. Isn’t that what lovers do? Support each other while driving through the desert? When we met each other halfway on music, it made all the difference in the world, but it still couldn’t save us. Greg Cayea is an author, a music producer, a publicist, and a Guinness World Record–holding traveler. He writes offensive short stories about his life’s exploits and then draws cartoons to illustrate them. Stay tuned at ScrambledGregs.com for his next adventure.